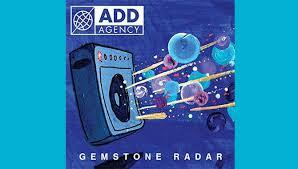 After spending three years working on Gemstone, Add Agency brings Gemstone Radar with a very intentional sound. With David Bowie and LCD Soundsystem influences, one can also hear a bit of grunge sound within the album as well. Will Mora , the one man genius behind Gemstone Radar wows listeners with the perfect balance of drums, guitars, and shoe gaze undertones as well on some tracks. With Mora’s sensual voice and intense lyrics, Gemstone Radar manages to set itself apart from new age grunge with a myriad of genres all in one album. Specifically, the track “Set Me Free”, effectively brings the world of grunge, shoe gaze, and glam rock all in one. Mora, for a one man band, you bring a lot to our ears.